Put the griddle on two rings on the hob or in the oven. With the Japanese ‘teppanyaki’ method you can prepare strips of fish, meat, vegetables, just fry with a little bit of fat and shortly after, finish off with a marinade or (syrupy) sauce. 2 models: small: gastronorm 2/3, 35,4 x 32,5 cm (13.9 x 12.8”) or large: gastronorm 1/1, 53 x 32,5 cm (20.9” x 12.8”). 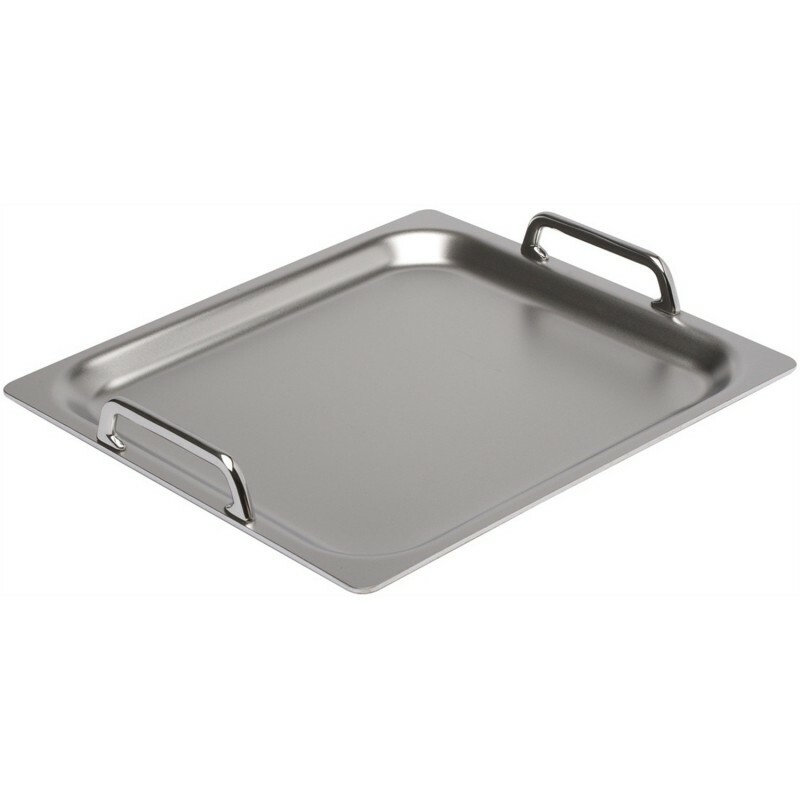 You can even divide the large griddle into two cooking zones: place the griddle on two rings of the hob (a large one and a small one) and switch them to different heat levels. Quickly fry the ingredients in the hot zone and move them to the less hot zone so they can continue cooking or can be kept warm. 7-PlyMaterial: this technology consists on 7 alloys, including stainless steel and a aluminium core. 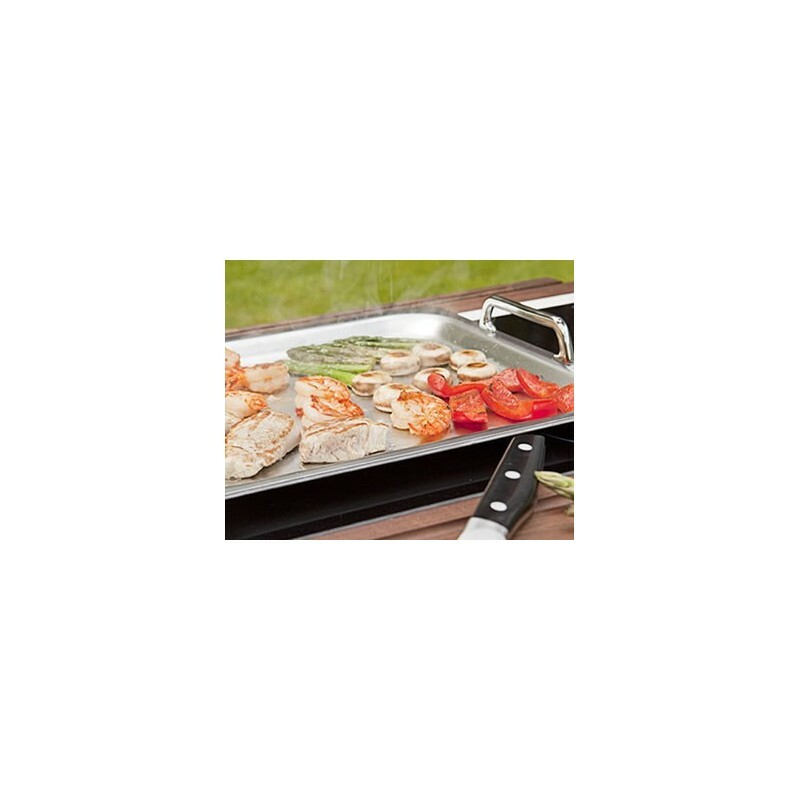 The layers are formed over the base and sides of the products that guarantees that the heat is spread evenly over the whole surface of the pan, right up to the rim.